CELLER PIÑOL is a family run cellar devoted to the winemaking of fine wines based in Batea (DO Terra Alta). Organically grown grapes from their own vines. Passion, Enthusiasm and Love for our vines and work that makes our wines unique and famous all around the world. We are the most prestigious cellar in our area, highlighted by PEÑIN, JANCIS ROBINSON, PARKER (all our wines rated between 90-95 Points in The wine advocate), TANZER and selected among the best wines in some of the most prestigious wine magazines. State of the art technology and tradition in a perfect blend to offer you the best wines in Terra Alta. For more than four generations, the Pinol family’s love of the land and vineyards has enabled them to develop world-class grapes used to produce the high quality wines that they sell around the world today. Combining traditional winemaking methods with state-of-the-art technology ensures their exceptional wine quality. This environment, where a harsh land hones the age-old traditions of a preserving people, gives birth to the lush and bold wine created by Celler Pinol. Wines nurtured from birth to maturity and presented to you with a sense of pride and work well done. Juanjo Garcela Piñol, trained as a chemical engineer, was called to the winery in 1998 by his aging parents, who needed help in maintaining the vineyard and making the wine. Though he had no oenological training, his chemistry background was very helpful and over time, he read heavily and took several courses in winemaking. Today, he runs the winery and shares winemaking responsibility with Toni Coca, along with Maria Mendoza, who also helps out in the winery and in the vineyard; his mother Josefina maintains the cellar. The family estate in Batea is situated about 400 – 500 meters above sea level. This is where, as a result of careful selection at harvest time, their award winning wines are made. There is a Mediterranean climate with hints of Continenal, which means hot summers and cold winters with a considerable day/night contrast of temperature (15 – 20 degrees), allowing for the full maturation of their grapes. The vines take advantage of the limited yearly rainfall (approximately 138 – 158 inches) and over 2,800 hours of generous sunlight to produce exceptional fruit, necessary in producing a world-class wine. The limestone-laden brown soil has proportionally little clay and poor in organic matter, leading to lower production and a high level of complexity and intensity in their wines. At Celler Pinol, their commitment to quality means they pamper their vines at every step of their growth. They utilize organic farming using only ecologically friendly methods with no herbicides or sistemics, constantly controlling the growth process until the ideal moment for harvesting is reached. Since they believe that 80% of a good wine depends on the health of the grape, their vineyards are meticulously maintained year round (75 ha) – pruning and leaf-stripping to ensure that each bunch is fully exposed to the sun’s rays and matures to its full potential. The winemakers at Celler Pinol places the utmost respect for the terroir, the unique personality of their land, and with it the singularity of each vintage produced. They focus on cultivating their indigenous varieties such as white and red Garnacha, Carineca and preserving their oldest vines such as Morenillo. In other words, they excel in showcasing the native varieties that make Celler Pinol wines truly unique in a globalized wine industry. 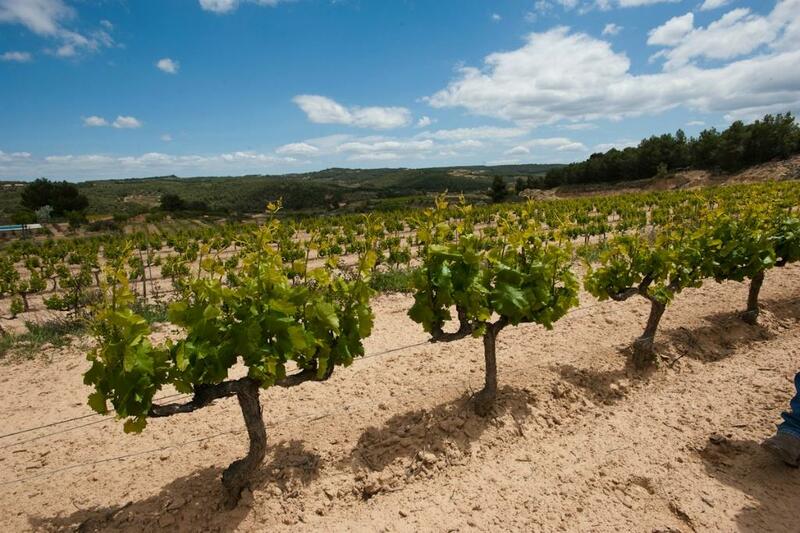 On Ewineasia.com, you can find many of the highly-rated Celler Pinol wines that best defines the expression of its terroir, ethical viticulture and wine-making philosophy.